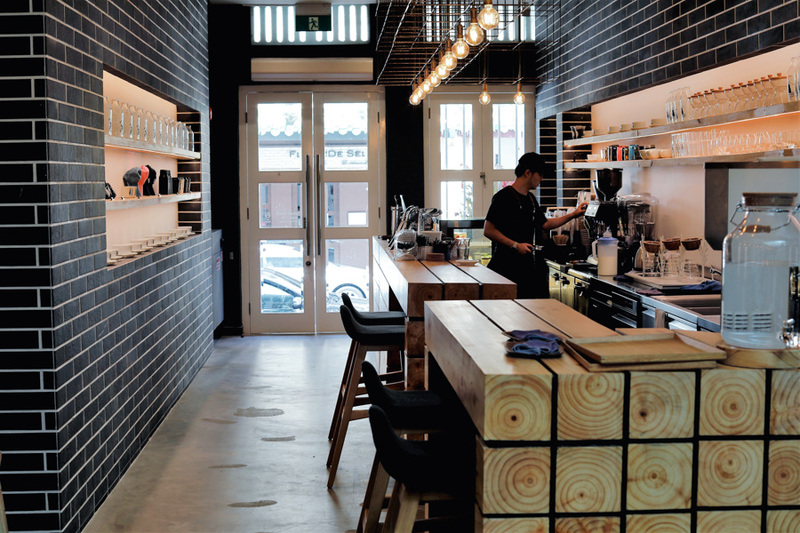 There is no stopping of Japanese cafes opening up in Singapore. 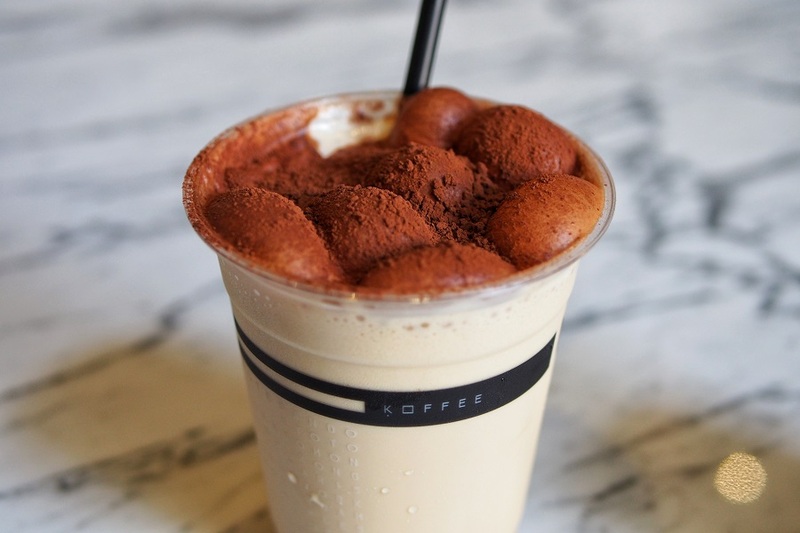 Not forgetting about the coffee drinkers, Omotesando Koffee and Baristart Coffee have also set foot in Singapore near the CBD. Some are home-grown brands we should be proud of, such as Hvala and Matchaya, both known for their matcha latte and desserts. 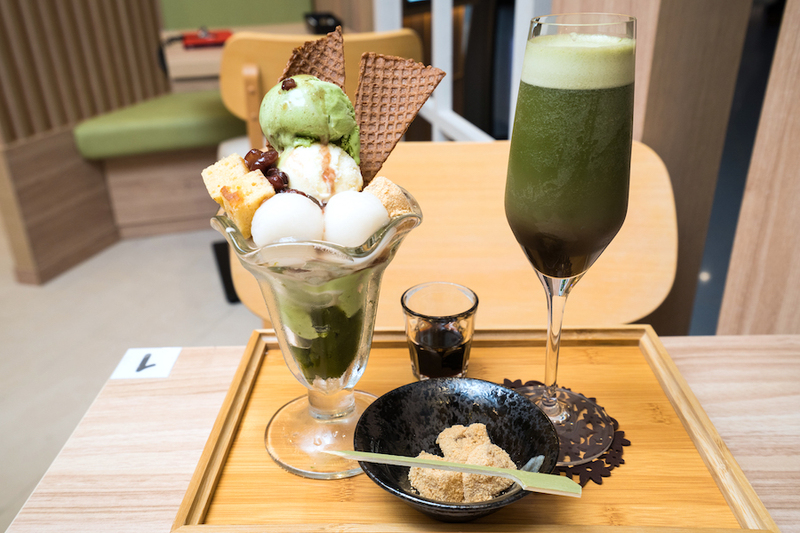 Matchaya is a Japanese tea shop serving authentic Japanese-inspired beverages and sweets. 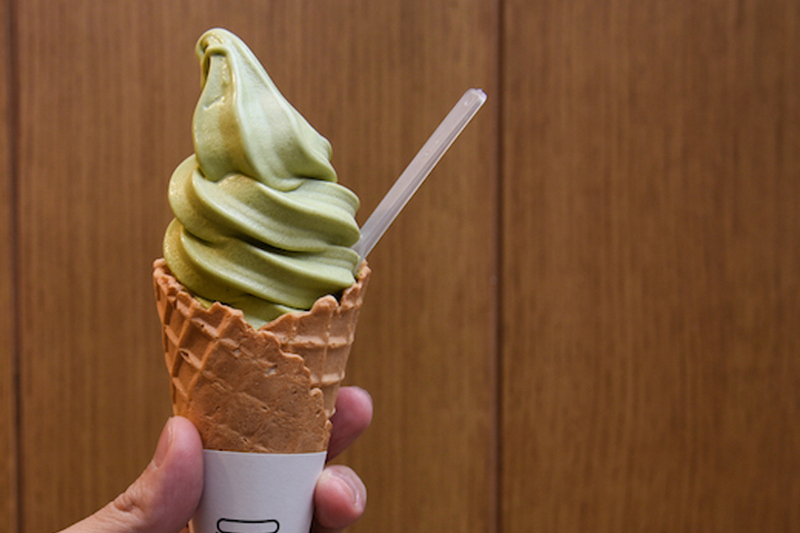 All premium ingredients, such as matcha and houjicha, are painstakingly sourced from different prefectures in Japan and blended exclusively. Hand-brewed from their own sources of tea, the Matchaya Exclusive Blend which is a bottled Japanese Milk Tea is a crowd favourite. 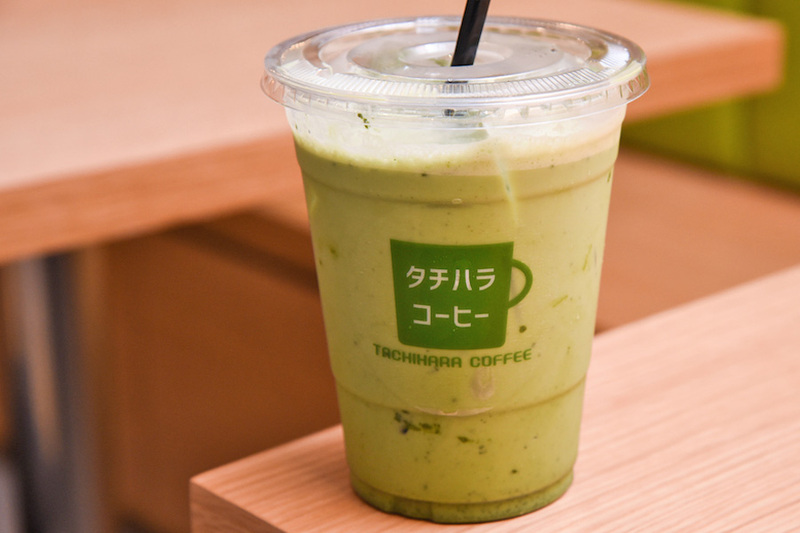 Try the bestsellers Cold-Whisked Milk Tea which consists of 2 flavours of Extreme Uji Matcha; and Houjicha Milk ($6.50 each) with roasty, nutty and notes of Koffee. A Japanese teahouse located within the walls of the 19th-century built chapels at CHIJMES. 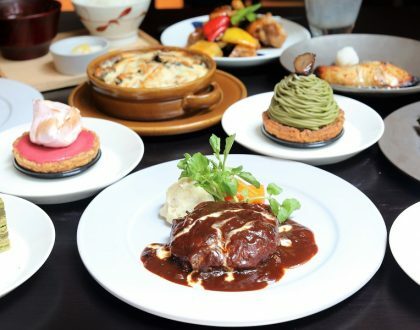 The first-ever Pablo Cheese Tart Café in Singapore is situated at Level 1 of Wisma Atria, Orchard Road. 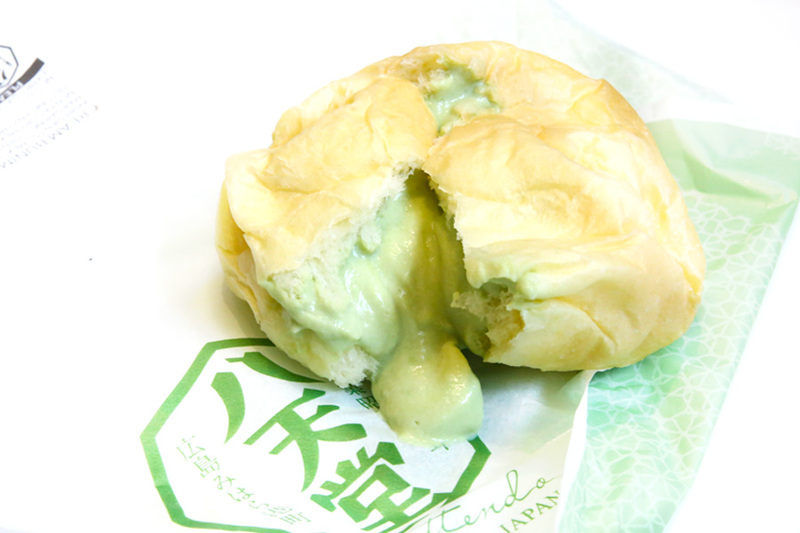 Pablo fans claim that their Cheese Tarts are the best ever, and is branded as “The most famous cheese tarts from Japan”. 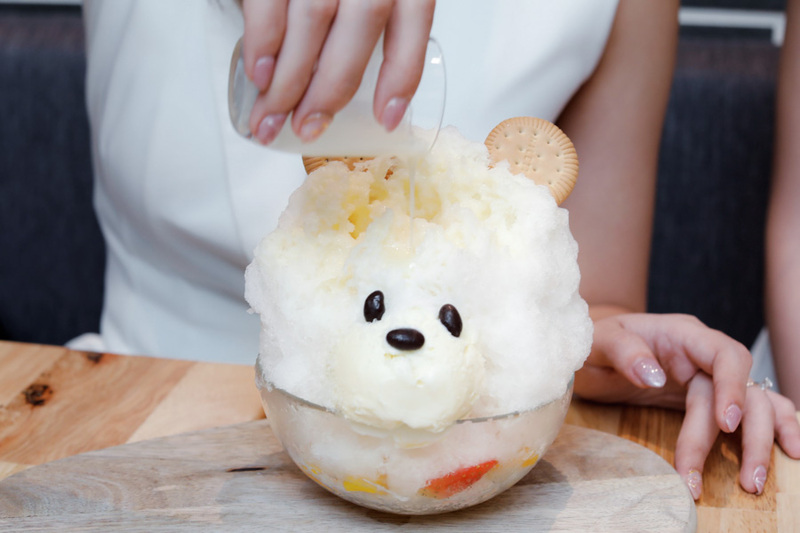 This Singapore café carries many cheese-based products including the Signature Pablo Freshly Baked Cheese Tart, Pablo Mini Cheese Tarts, Pablo Smoothies and Pablo Soft-Serve Ice-Cream. 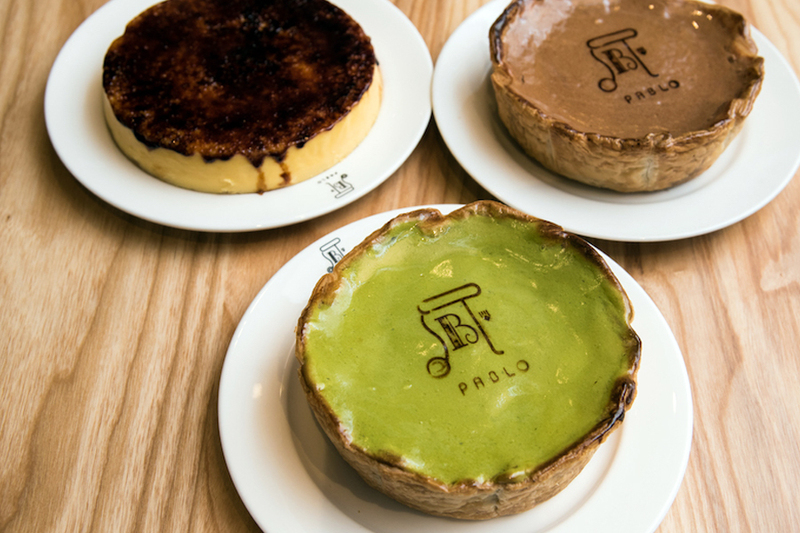 The iconic big 15-cm Cheese Tarts come in flavours of Original Cheese ($15), Matcha Cheese ($18), and Chocolate Cheese ($18). Unfortunately, the Original Cheese Tart only comes with the “Medium” option for Pablo outlets outside Japan. In Japan, you get the “Rare” version which is more molten and flowy. This is so as to keep quality consistent, as they said. Hoshino Coffee takes pride in its hand-drip coffees, made with roasted 100% premium Arabica coffee beans. These beans are carefully selected by Hoshino Coffee’s very own coffee blend specialist Master Kanno. To pair with your coffees, you may order any of their popular soufflé-style pancakes – baked fresh upon order (allot 20 minutes waiting time) and served with whipped butter and your choice of syrup (maple or honey). 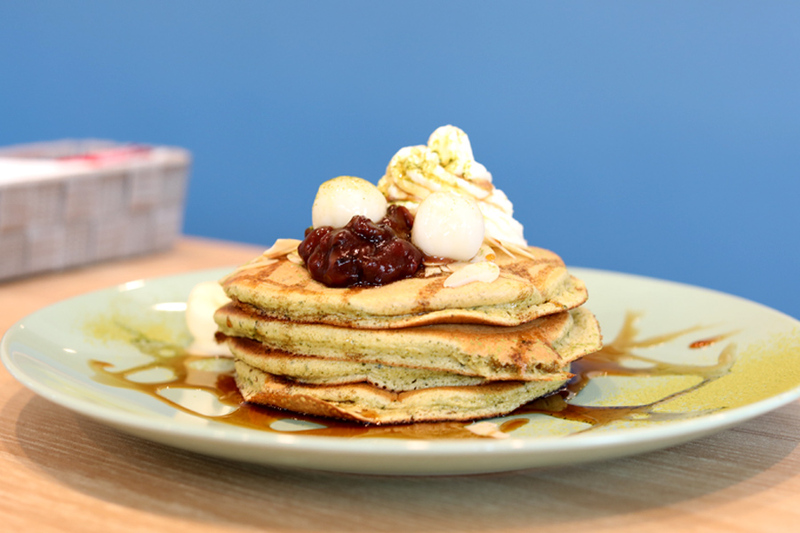 Their signature Pancakes Souffle Style is priced $9.80 for single and $12.00 and double. 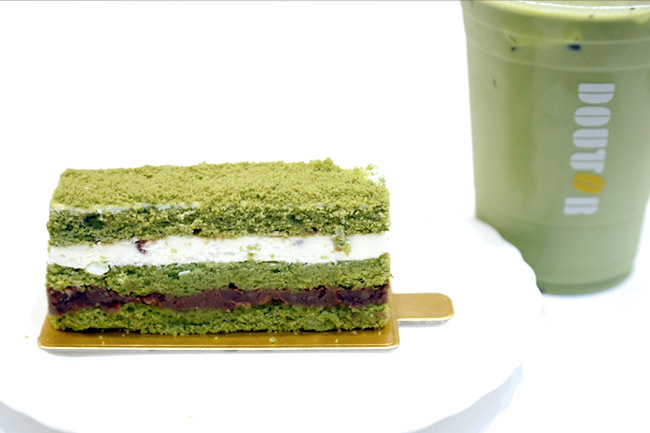 The special matcha variant is at $13.50 for single and $16.80 for double. 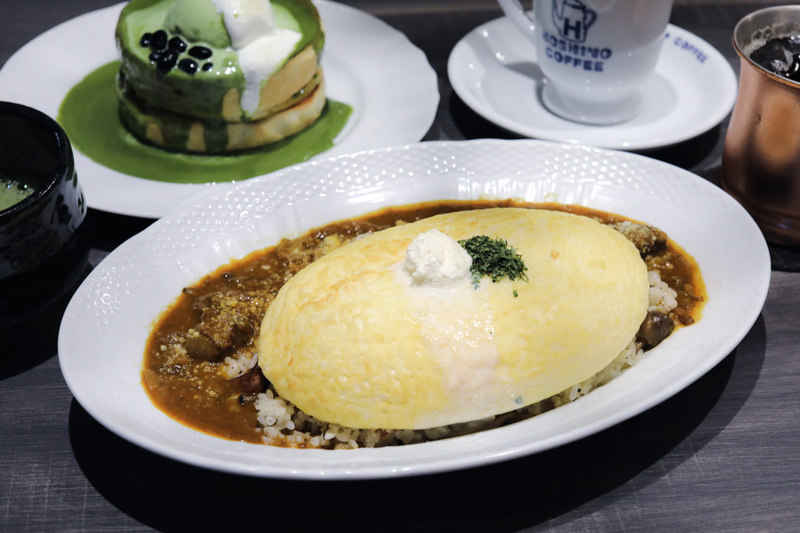 Aside the hand-drip coffee and pancakes, Hoshino offers spaghetti with various toppings (its signature is Hoshino Spaghetti with Eggplant, Bacon, Shimeji & Sausage, $14.00), rice dishes (the Fuwa-Fuwa Hoshino Souffle on Porcini Cream Rice with Bacon is a must-try), meat plates (go for the Hoshino Angus Beef Steak Plate, $21.80), and side dishes (Hoshino French Fries with Wasabi Mayo, $6.00). 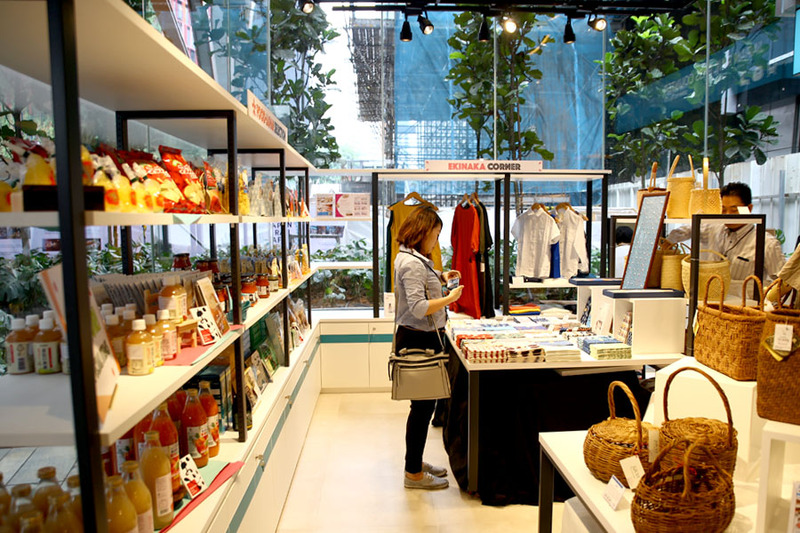 Rail pass ticketing, retail and Japanese style cafe. 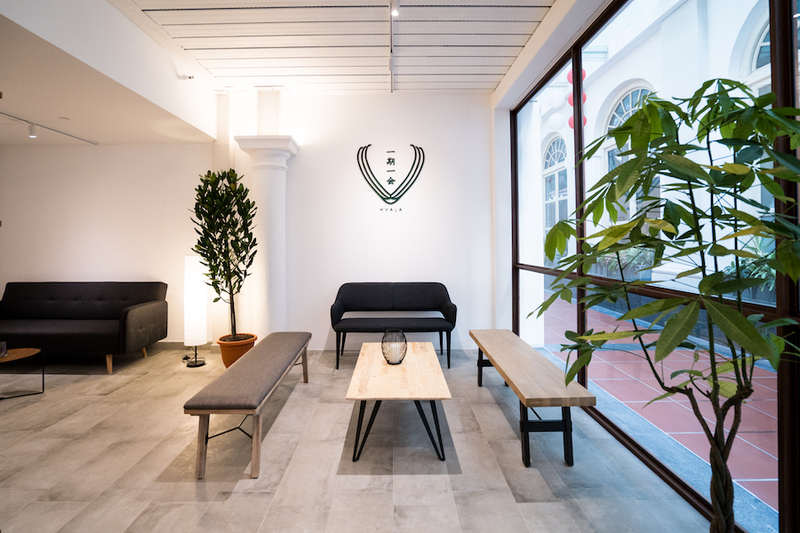 This is the first overseas venture by East Japan Railway Company, located on Level 1 of Tanjong Pagar Centre. Walking in, the first thing you may notice is a convenient rail ticket service for Japan rail passes. You can purchase exchange orders for JR passes before their trips at the instore rail pass ticketing counter operated by JTB Pte Ltd.
Food wise, the menu did feel rather ‘Western-Japanese’, with a selection of burgers ($19 – $22), sandwiches ($15 – $18) and rice plates ($16 – $18). 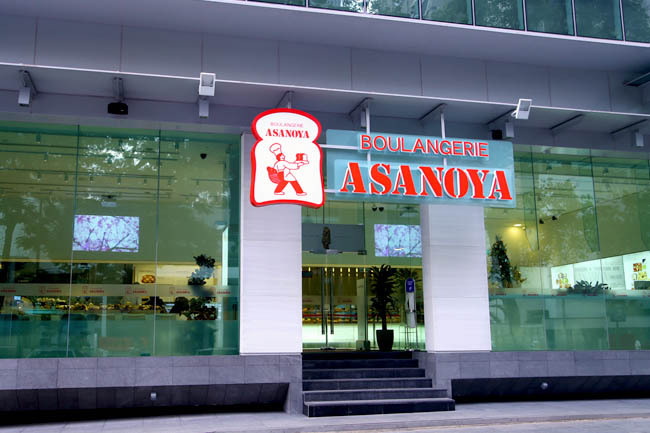 There is a selection of pastries from Asanoya Bakery. The Asanoya brand is 81 years old, founded in 1933 in Karuizawa Japan. 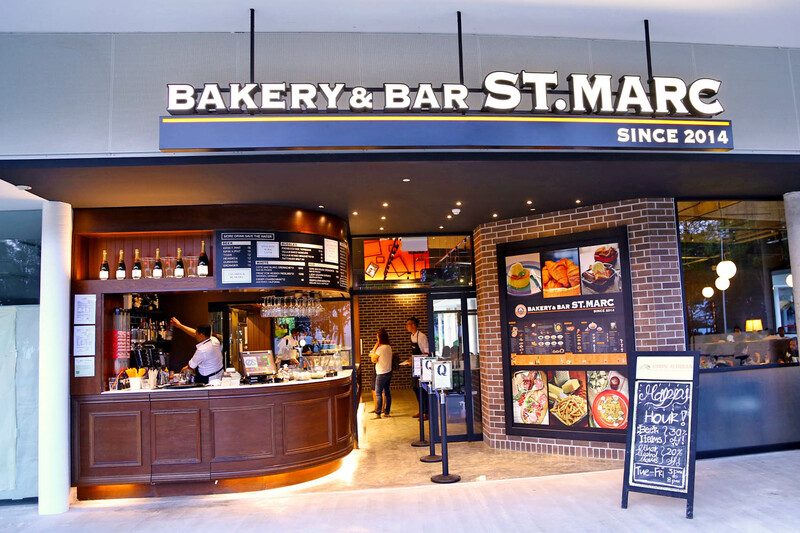 The bakery is known for its rustic Japanese-style bread, with a European twist and baked in a traditional stone ovens (modern ones in Singapore). Their top few bake include the Fruits Rye, a mixture of fragrant orange peel, rum infused raisins, lightly crushed walnuts and almonds mixed into a delicate rye bread. 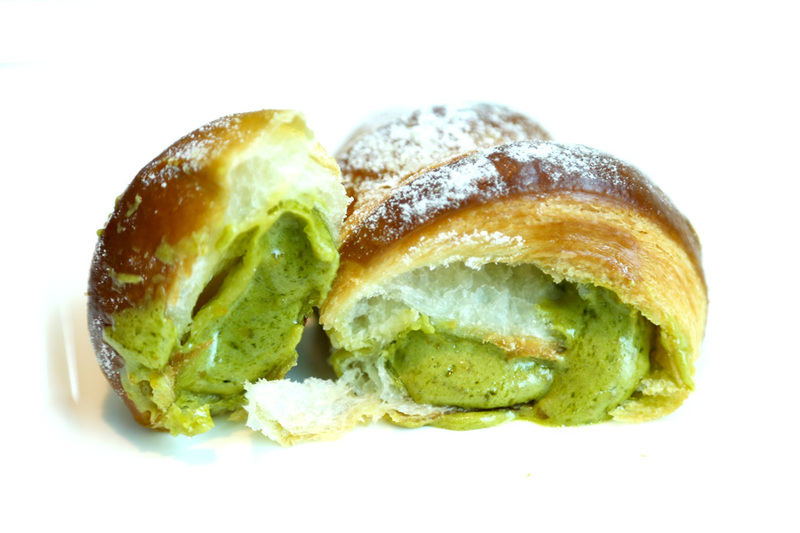 Japanese soft cream buns Hattendo are available in Singapore as a café concept at Tanjong Pagar Centre. The cold cream bun by Hattendo looked so unsuspectingly simple, like a plain white round dough smaller than a child’s fist. 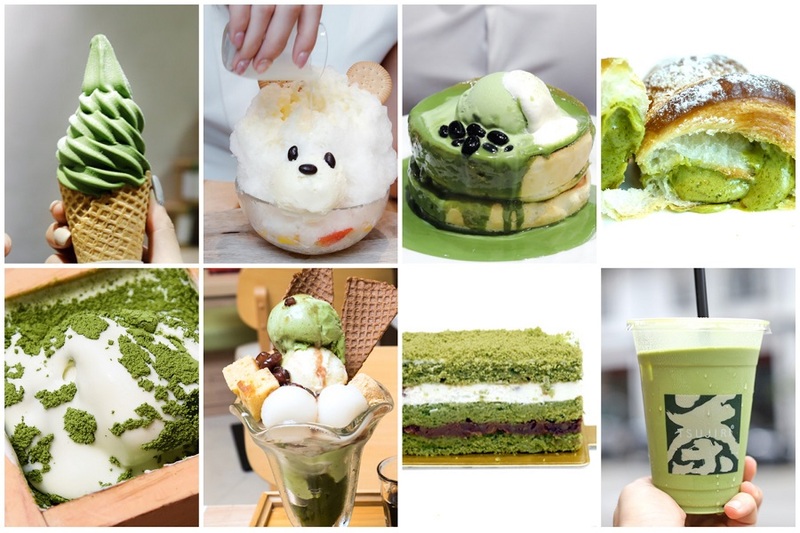 Probably one of the most known Japanese green tea café in Singapore. 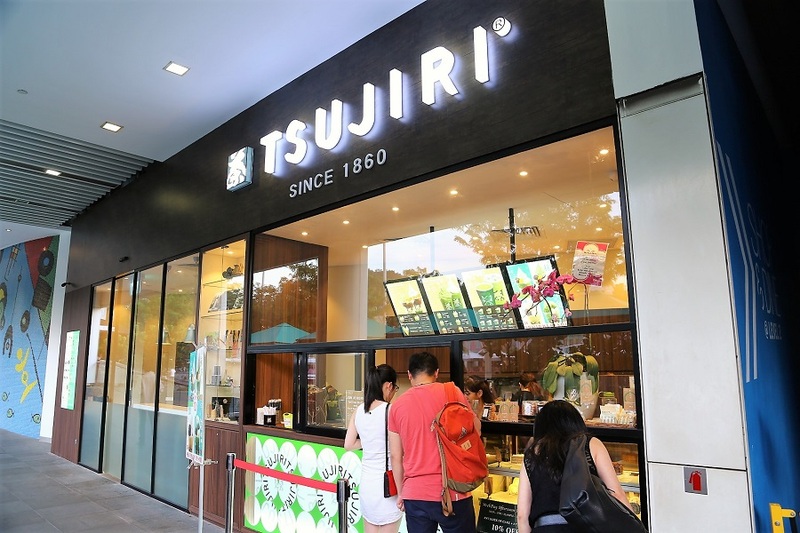 Tsujiri is said to be a 155-year-old traditional Japanese tea brand serving the highest quality Matcha with a contemporary twist. However, do not confuse them with Japan’s Gion or Saryo Tsujri – which the Japanese are more familiar with. 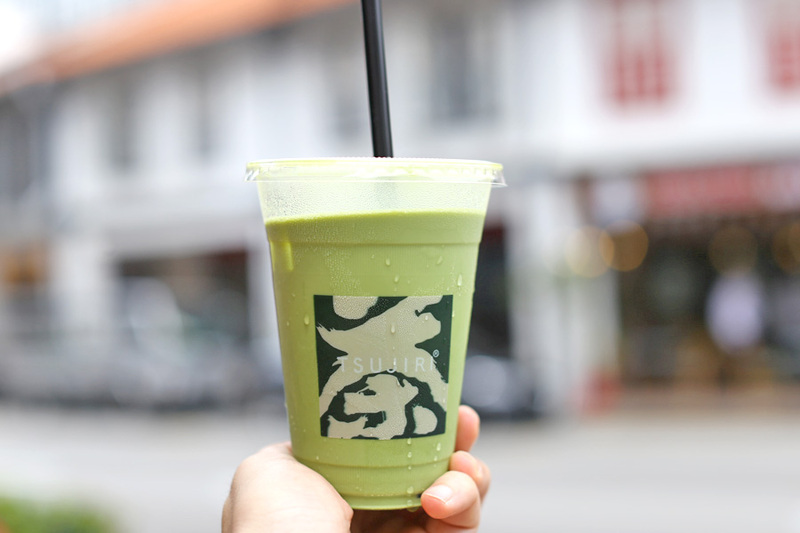 The O-Matcha Latte ($5.60, $6.20) is a customer favourite, made using matcha harvested from Tsujiri’s own plantation in Uji, Kyoto. I found the latte slightly sweeter than the usual Japanese style, but was still a smooth, refreshing drink. Pullman Bakery, famous for their Hokkaido curry buns and other Danish pastries, is a name that Japanese bread lovers should recognise. 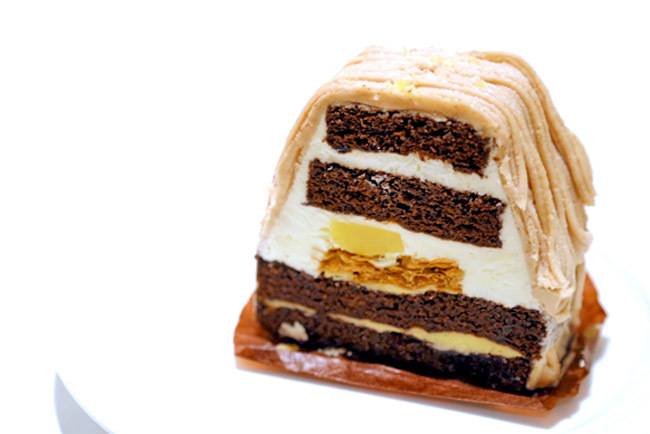 Do you know that it first started off as “Tachihara Bakery” way back in 1978 in Hokkaido Japan? I noticed that there is matcha in EVERY section of the menu, and ordered the Matcha Cream Toast ($3), Ice Matcha Latte ($4.50), and Matcha Cup Dessert ($3). 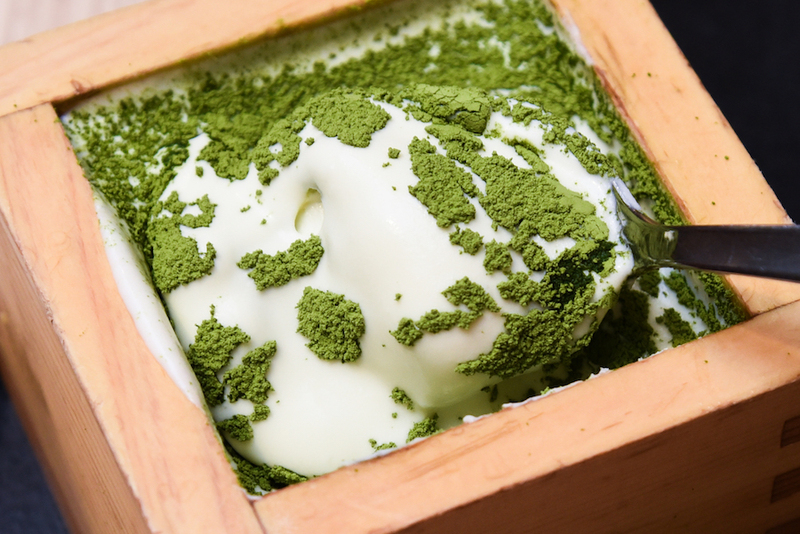 Maccha House specialises in traditional Maccha beverages and desserts created from this fine green tea powder, all sourced from Kyoto Japan. 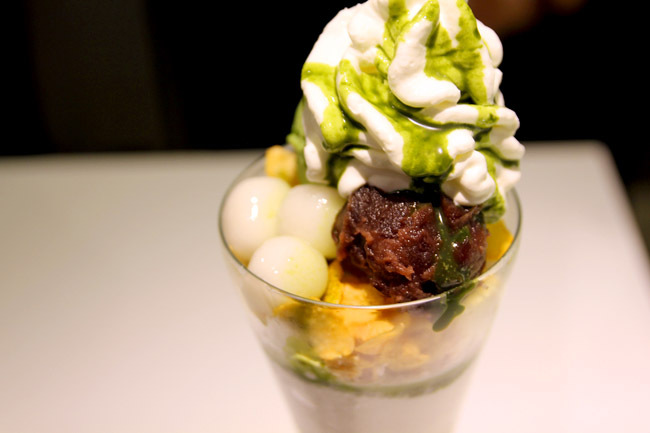 While they also serve hot food items, most are really here for their desserts, such as the Maccha Soft Serve Anmitsu with Rice-flour Dumplings, and Maccha Parfaits which come with rice flour, chocolate or soy milk pudding. 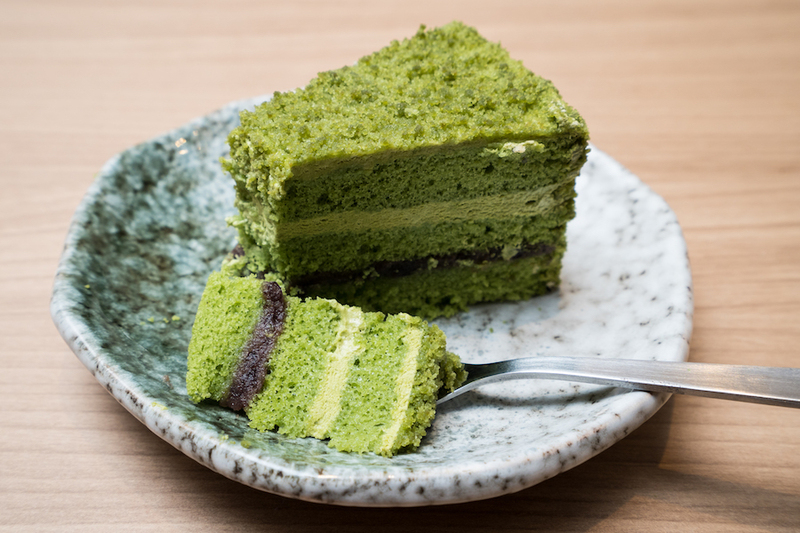 While the palm-sized Maccha Tiramisu ($7.99) seems ordinary, it contained a layer of premium Kyoto’s “Morihan” matcha powder with more than 170 years of history, carefully dusted on top. 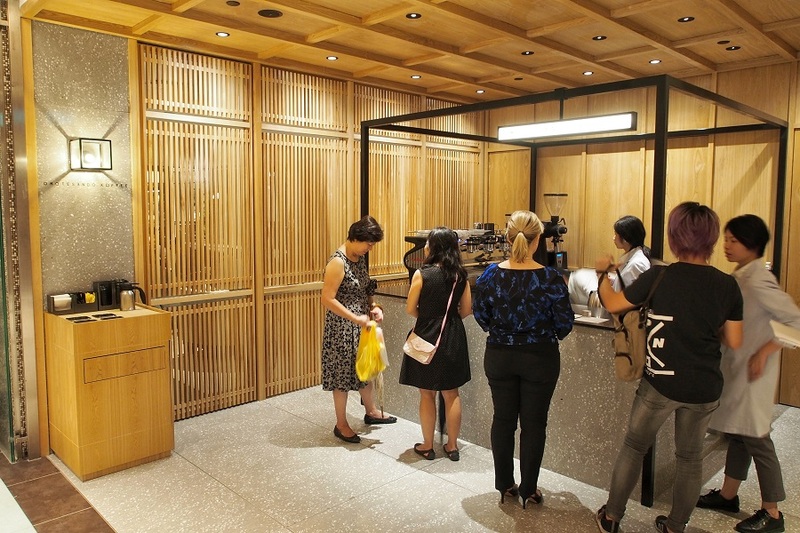 Lifestyle Japanese brand MUJI has finally opened its first “Café & Meal MUJI” in Singapore at L4 Paragon Orchard. 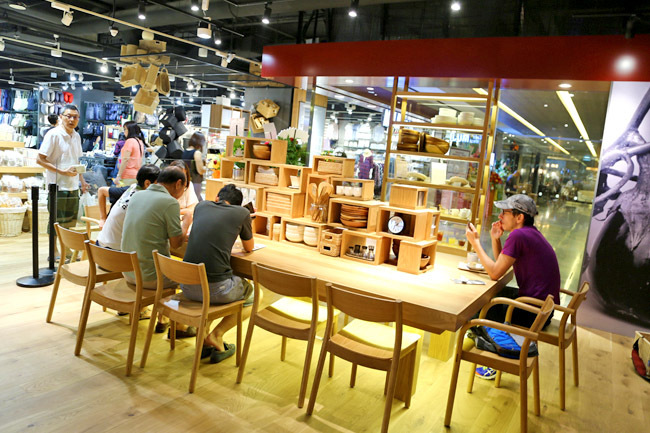 Die-hard MUJI fans will be sooooooo excited. 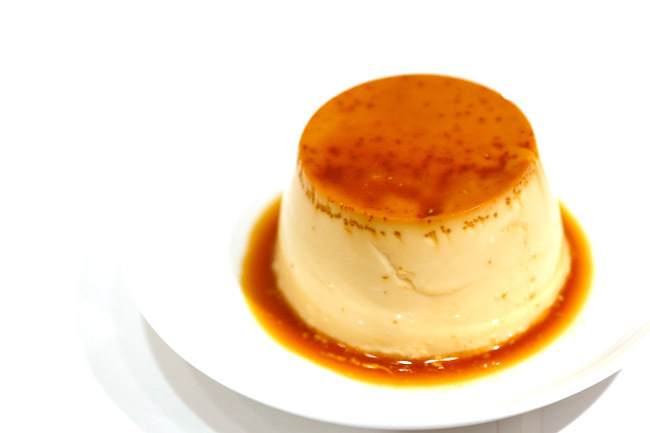 After shopping for those ‘no-brand’ home accessories, you can rest your legs at the café for some Caramel Pudding ($4.90) and Roasted Tea Pudding. There are electrical sockets if you need to work on your laptop. 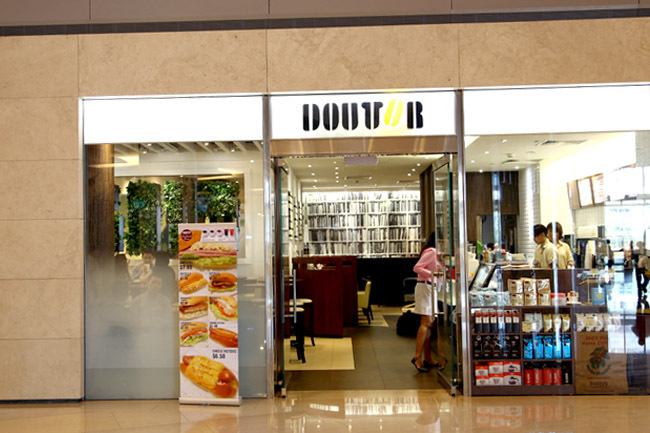 I suspect not many know there is actually Doutor Coffee in Singapore. 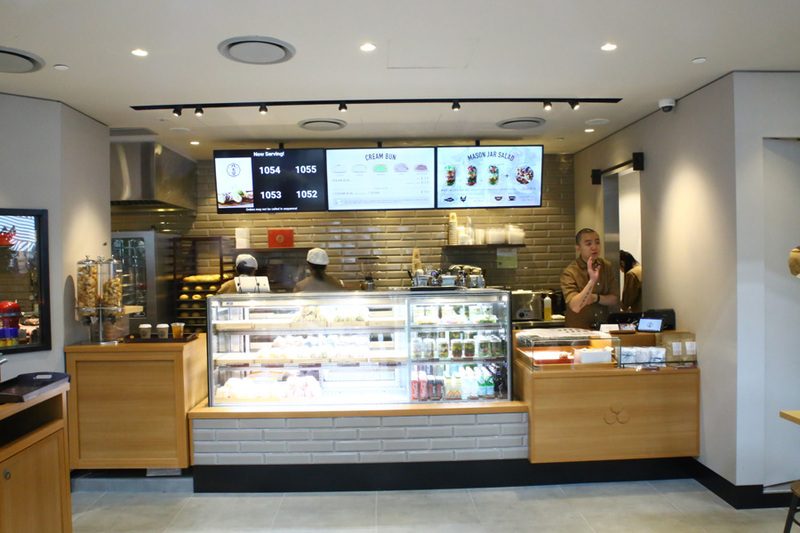 Doutor is a popular Japanese retail company specialising in coffee roasting and coffee cafes, with over 1200 outlets around the world. My favourite branch being the one at Ginza. 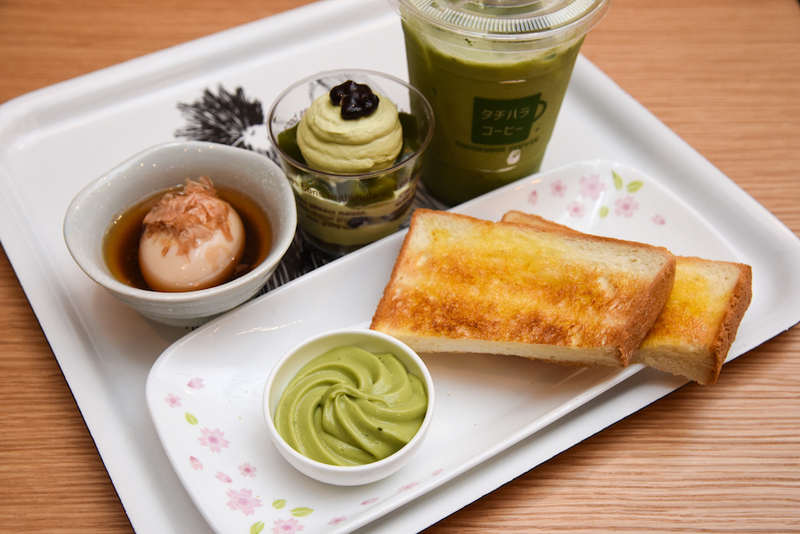 CBD executives would come for breakfast with options of Ham & Egg Sandwich ($7.80), Pancakes with Choco Banana ($6.80) and localised Kaya Toast with Azuki or Egg ($4.80). In between meetings, I like to wind down at a quiet corner here. 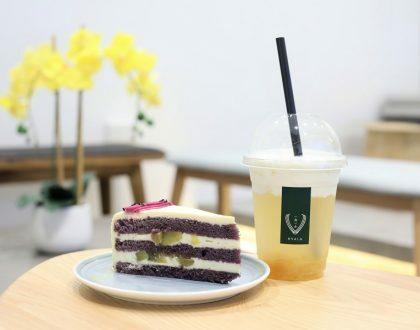 Its Crepe Cake and Matcha desserts are great for a relaxing afternoon bite. We can imagine Japanese tai tais loving the space here. 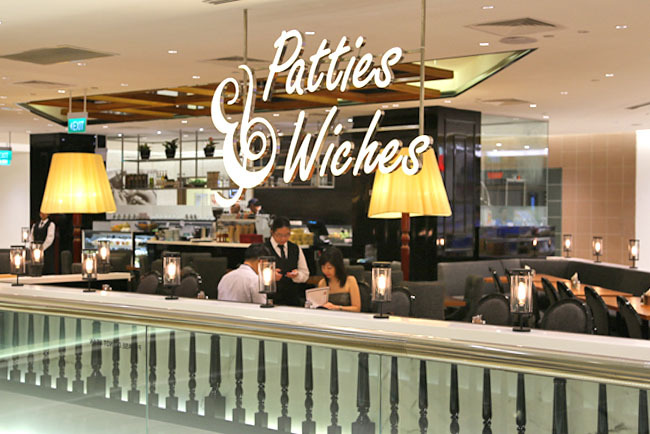 Patties & Wiches (the shop’s name comes from burger-patties and sand-wiches) serves an agglomeration of Japanese pastries from various Japanese F&Bs in Singapore such as Asanoya Bakery and Chef Yamashita. Plus a Western twist. 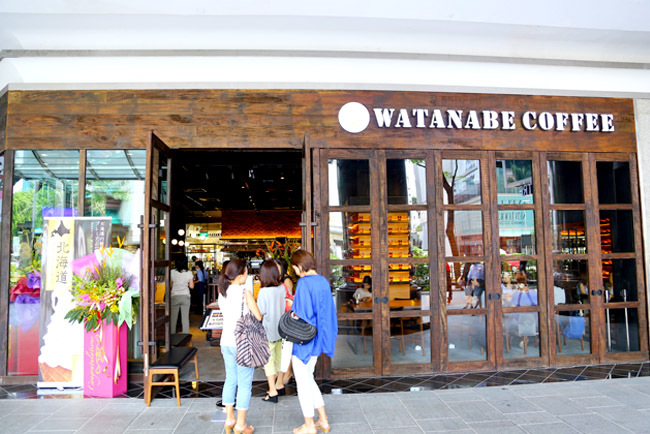 After Patties & Wiches, Japanese tai tais can take a stroll down to Shaw Centre for Watanabe Coffee. 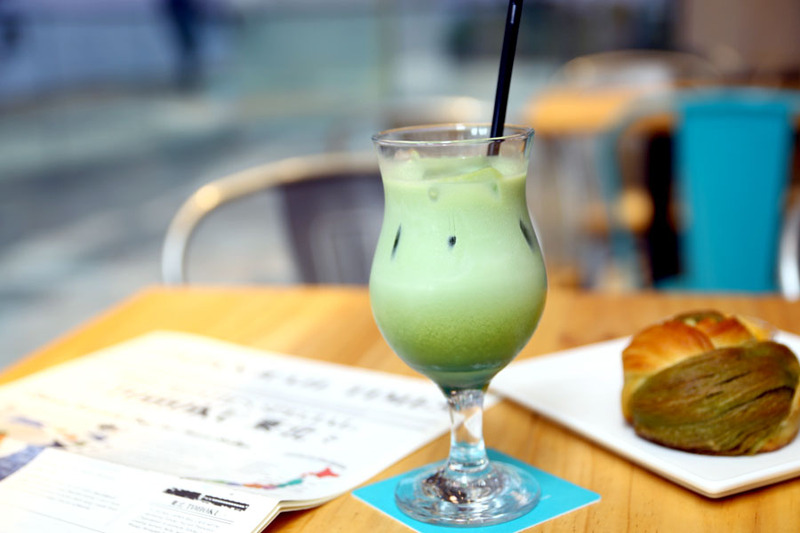 With more than 30 branches in Japan, Nana Green Tea is sometimes termed as the “Japanese Starbucks”. 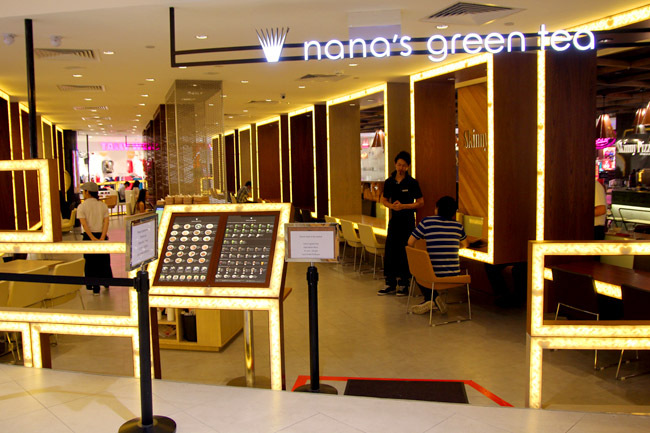 Although Nana’s Green Tea is known to be a café, it also sells several main courses such as dons, udons and sushi rolls, with a more localised menu quite unlike the ones in Japan. 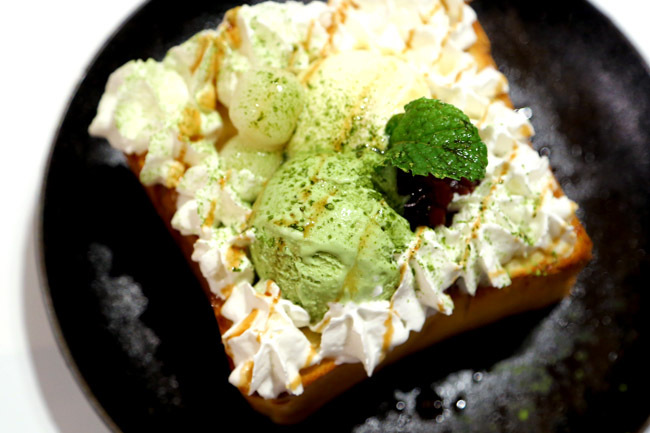 Desserts such as its Matcha Anmitsu ($8.80), are definitely its strength. It may not blow you away but makes a decent afternoon tea-time treat, with its azuki red bean paste smooth and satisfying. 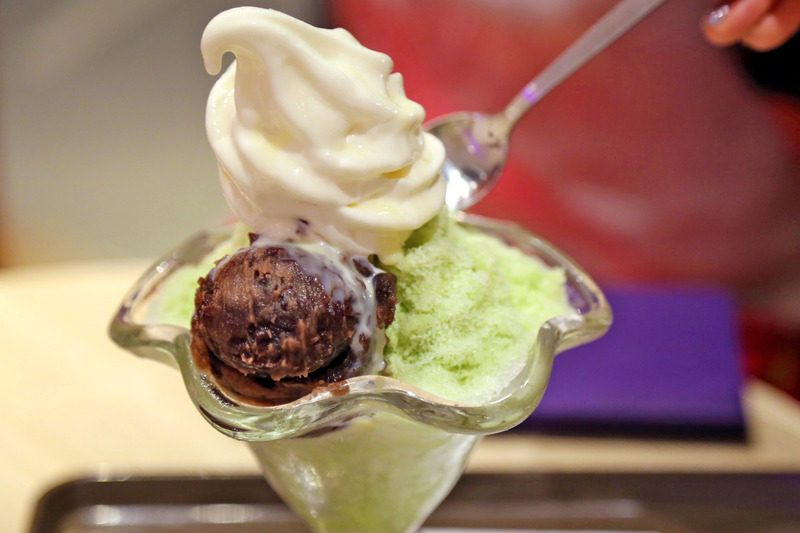 Japanese dessert Café Saint Marc has a few star items – Choro Cro pastry, Little Fuji and Geisha Waffle Cone. No doubt, I am a fan. This a take away store tucked away in a corner of Level 4 of Downtown Gallery as part of office space “The Work Project”, but that did not hider coffee fans from finding their way to this secluded part of building. 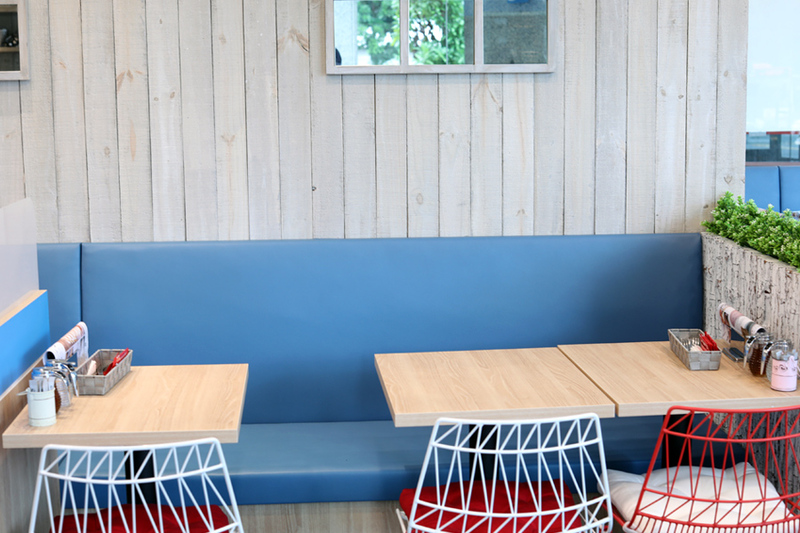 Over here, the menu is kept simple with Hot or Iced selections. Hot coffee include espresso based Omotesando Koffee Hot (Regular $4, Large $5), Hand Drip Koffee ($6) Latte and Cappuccino (Regular $4.80, Large $6). 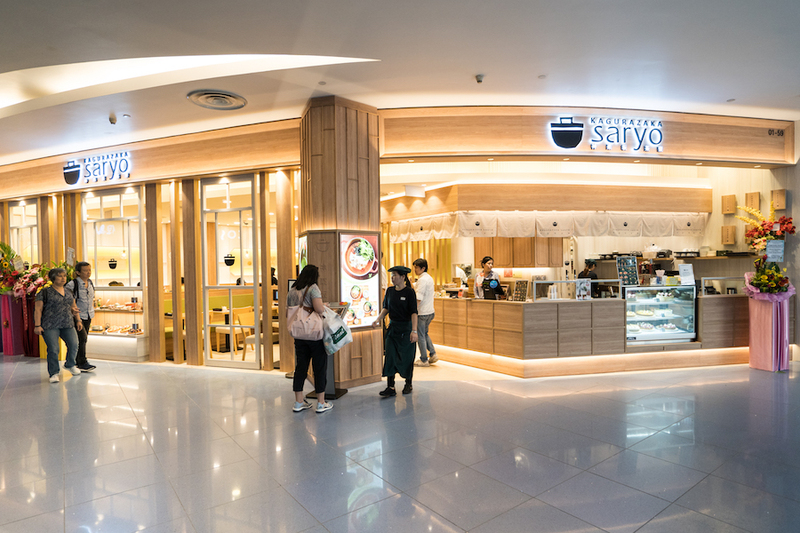 Known to have 9 outlets in Japan with 14 years of history, Kagurazaka Saryo has opened its very first flagship store right in Singapore at VivoCity. 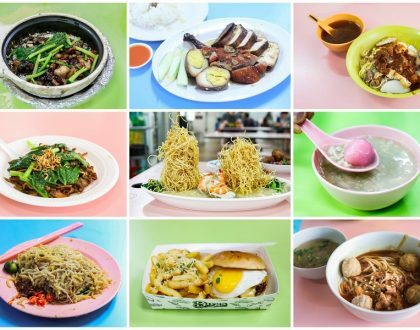 Brought into Singapore by Japan Food Holdings who owns eateries such as Ajisen Ramen, they have replaced existing Fruit Paradise outlet (Oh bye bye, Fruit Paradise!) with Kagurazaka Saryo. Fans of fruit tarts from Fruit Paradise need not worry as the tarts are still available for purchase in slices or in whole at Kagurazaka Saryo. 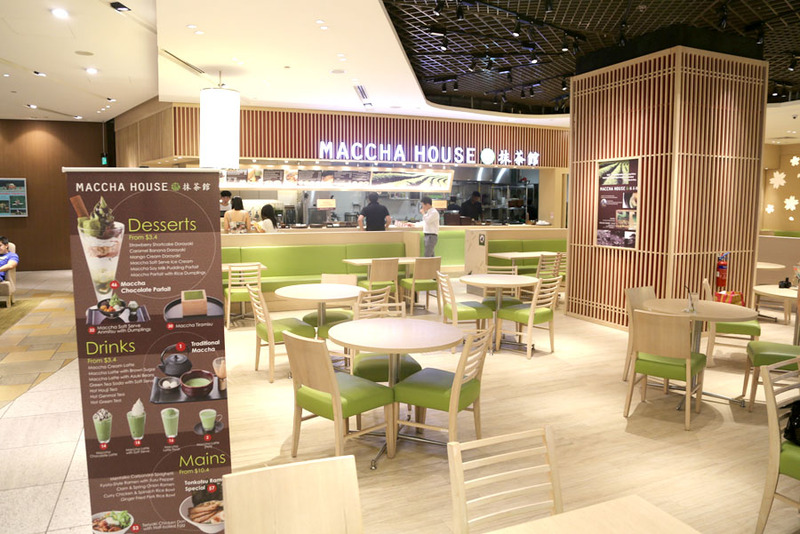 The menu offers a selection of signature matcha desserts such as their famed Matcha Fondue with Assorted Sides ($14.90) and Matcha Frozen Smores ($9.90).